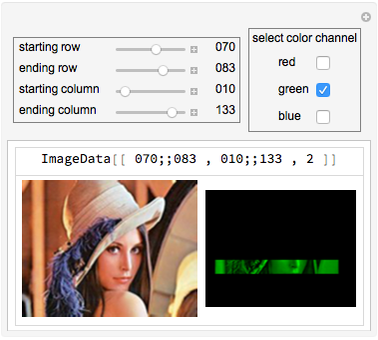 This Demonstration shows how to select parts of an image using ImageData by specifying row and column locations. You can also select different color channels to view. Nasser M. Abbasi "Selecting from ImageData Using Rows and Columns"